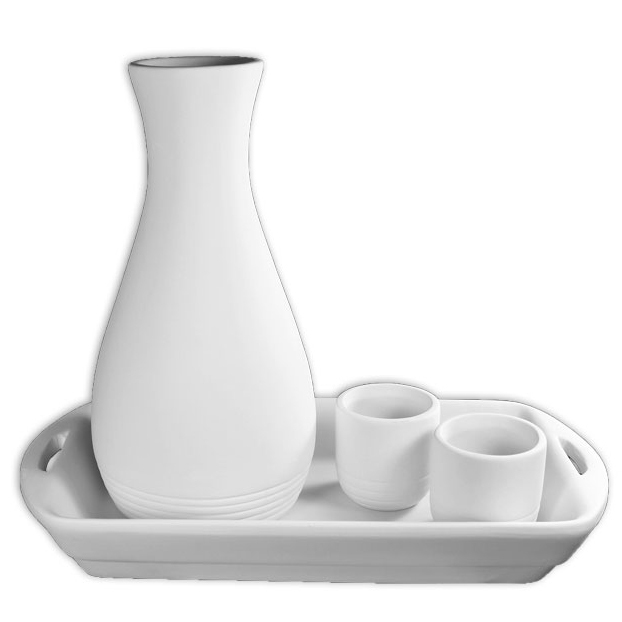 Cute Saki set includes a bottle and two small cups and tray. Each case includes two full sets. Bottle is 27cm tall. Tray is 20cm by 14cm.